and need a capital injection for development and marketing purposes. The apps can be demonstrated to potential investors, customers under NDA. You have a right to your health record. 🔐 Increased privacy security, the information is encrypted and password protected. 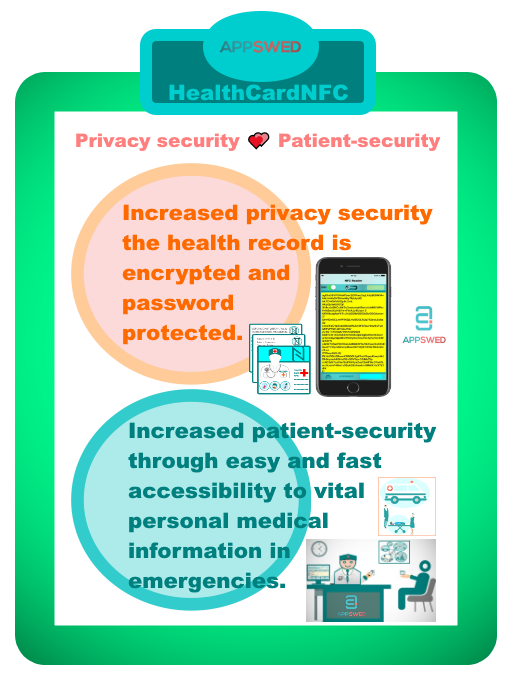 🚑 Increased patient-security through easy and fast accessibility to vital personal medical information in emergencies. and is a complement to the public health care. 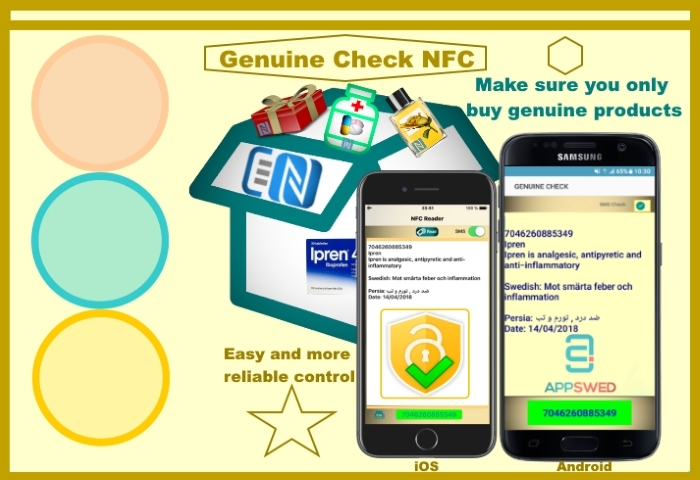 protected and stored in encrypted form on the NFC tag, card. Helps dentist manage their patients and clinic. Dentist's can keep a database of their patient’s record. These include personal information, dental notes, appointments and Dentist register. 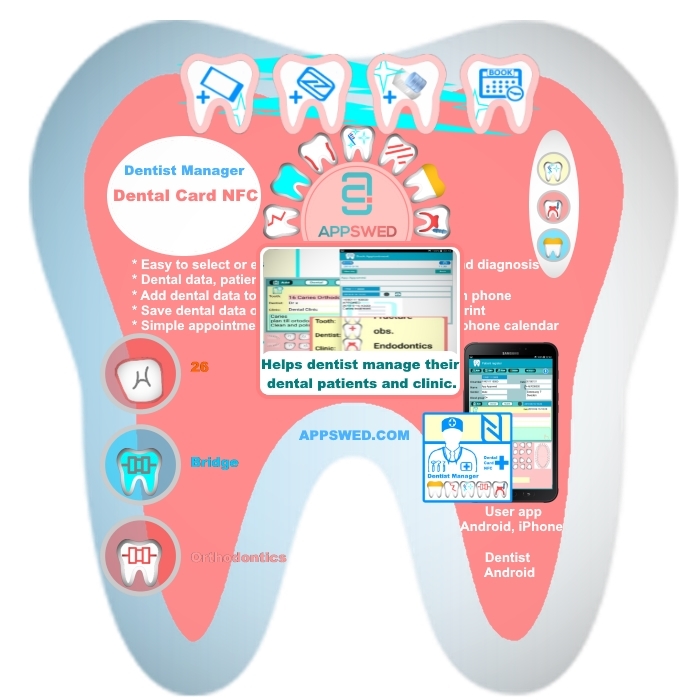 The easy and fast way to save and retrieve dental data on NFC tag, card and database. Make sure you only buy genuine products. Easy and user-friendly packaging control system. 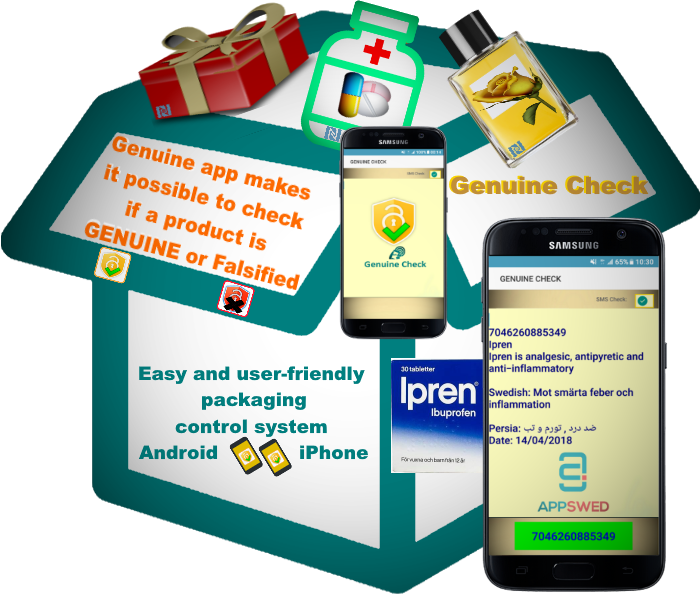 Easy and more reliable control with the Genuine Check app. of patient data can save lives in EMERGENCIES. App Development Apps under development. 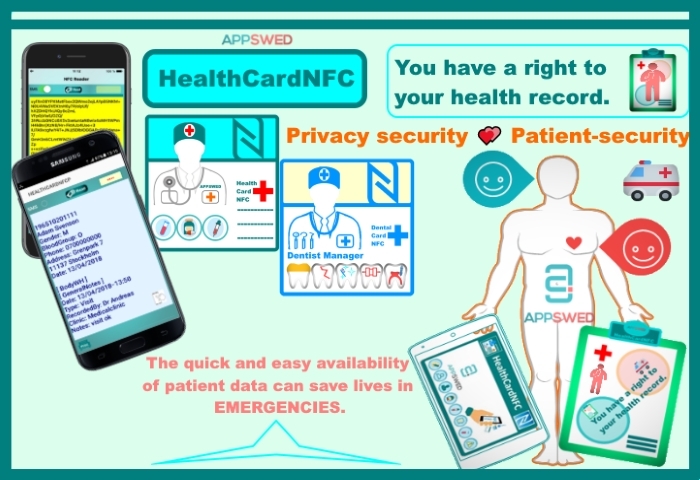 APPSWED Health Card NFC app solution can serve as a complement to healthcare services and improve safety, speed and ease of access to vital medical information in emergencies. 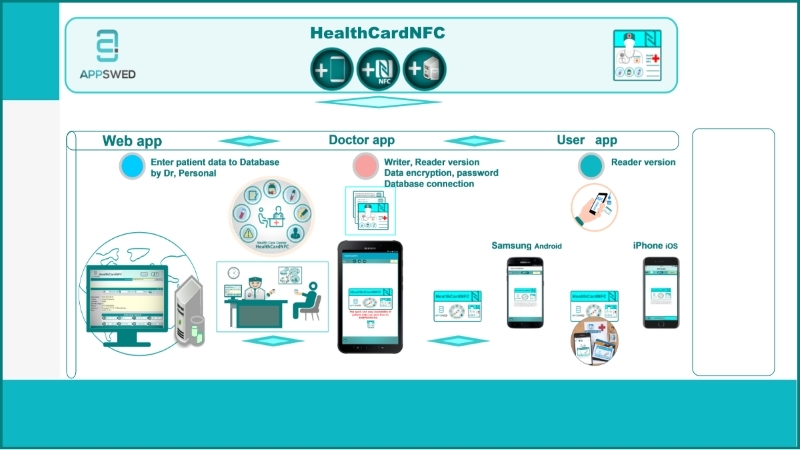 The easy and fast way to save and retrievepatient data on an NFC tag, card and database. to vital personal medical information in emergencies. emerging illness and for the normal contacts with healthcare services or during visits abroad. Pharmaceutical companies and other companies with falsified products exposed. 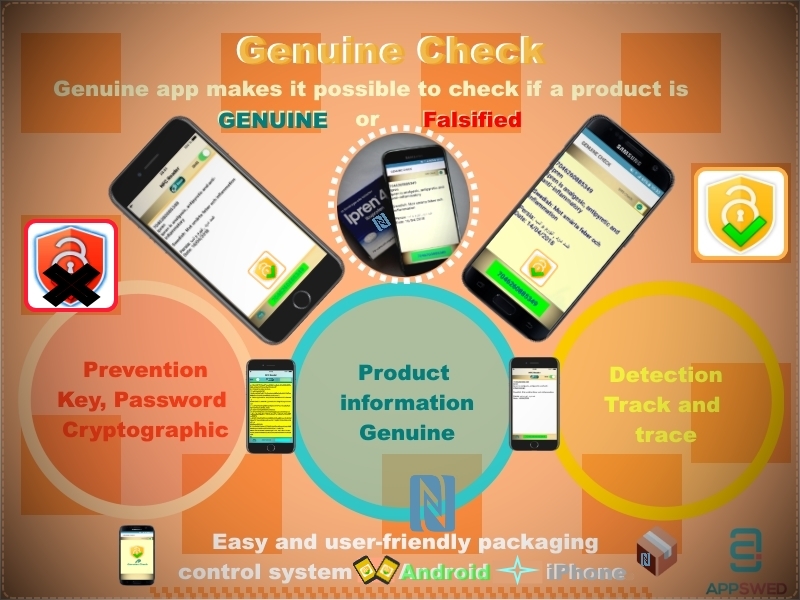 * To prevent falsified medicines and other products. * Strengthens the corporate brands. * Very low cost per pack and easy to implement. * SMS live information and GPS tracking option. * No internet connection required. offline mode, no internet connection required. online mode, SMS message control and live information. Apple iOS SDK, Core NFC currently does not have API ability to read an NFC UID. It is expected that Apple will add the ability for reading UID to iOS in future release. NFC Unique ID is not writable.